Inspired by Jesus, we walk together with our families to nurture faith filled, engaged and successful learners. We recognise and celebrate the uniqueness of each child and nurture and support each child’s wellbeing and self-worth. Positive relationships are at the heart of what we do, characterised by respect, empathy, tolerance and understanding. 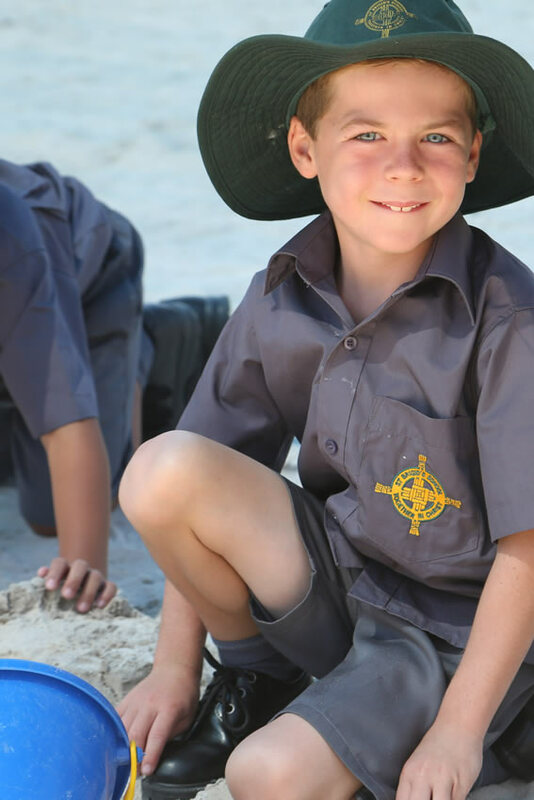 Our school is a place of welcome, connection and friendship, where all are encouraged to contribute and participate in our learning community. We strive to nurture resilient, optimistic and self-directed learners who develop habits and mindsets to achieve. Supporting, challenging and motivating our students to become adaptable and flexible learners so they realise their full potential. Our school empowers our students with a balanced and holistic education, that develops the intellectual, spiritual, creative, emotional, physical and social domains. We are the Hands and Hearts of Jesus! We foster a vibrant faith community in partnership with our parish, that is grounded in Jesus’ vison of love, justice and compassion. Using our talents and abilities to be agents of positive change and for the goodness of others and our environment. Reaching out to our school and broader community to make the name of Jesus known and loved. We are Committed to Improvement! We use evidence informed pedagogy that is supported with targeted professional learning and guided by student data analysis. All contributing to a professional culture that is collaborative, distributed and vibrant, and continually focussed on improving outcomes for students. Continually striving to elevate student achievement and maximising our impact on student performance, outcomes and wellbeing. Inspired by Jesus’ message of love and togetherness, our students, families and staff walk together in a spirit of community and partnership to nurture and grow faith filled, engaged and successful learners.